Ask the Professor: Is “Butch Cassidy and the Sundance Kid” the first “buddy film”? ScreenPrism: Is Butch Cassidy and the Sundance Kid (1969) the first "buddy film"? Professor Julian Cornell: It’s thought of as the first buddy comedy. There were a number of other films about two partners who have to do something, like in Wagon Master (1950) or Two Rode Together (1961) where they were complementary outlaw guys who work together for some goal. Butch Cassidy and the Sundance Kid (1969) is taking that further. It’s thought of as a buddy film because so much of the movie is really about their relationship. Sundance is this gunfighter guy, and Butch would be the comic relief character in most Westerns, but here he is the central character. It’s asking us to see the movie as a character study, as well as about this pair and the figure of the outlaw. There are so many touches I love, like when Sundance (Robert Redford) suggests they go to New Jersey. Butch (Paul Newman) asks what he knows about New Jersey, and Sundance says, “Well, I’m from there.” The historical figure he’s based on actually was from Jersey, so that’s based on research, but the whole idea of Butch’s response is that he didn’t know that. They have been friends all these years, and he didn’t know. This focus on their relationship is why it’s thought of as a buddy film. SP: How does the main female in the film, Etta (Katherine Ross), factor into that male friendship? Her function in the movie is another one of those subtle ways they are playing around with the entire structure and basis of the Western. The typical function of the female character in a Western, as it is in many genres, especially action-based genres, is to serve as the figure by which the heroes are redeemed. Through her, something happens that enables them to become heroes — whether it’s that the damsel in distress has to be rescued or something else that she does. Here, she abandons them. She says, I am not going to sit around and watch you die. I have too much self-respect for both you and me. I’m going to leave now. This is after they’ve gotten married. So they are married, and she walks out on her husband. It’s the idea that they are not going to simply reproduce that [typical Western female figure]. She’s not as fully formed a character as you would see in a contemporary movie, but for the time [she has a lot of interesting traits]. She helps them commit their crimes, she teaches them Spanish, she supports them, she establishes a love triangle, and she introduces the possibility that things could have turned out differently. But it doesn’t follow through on the narrative arc of the typical female character in a Western, which is she doesn’t serve as the heroes’ redemption. She walks out on them. She says, I am not going to watch you die, and so we don’t watch them die, either. She’s like, No, I’m out of here — which I like. I’m sure people were surprised by that. And then she’s just gone from the movie. I think the real Etta Place stayed, and what actually happened is she identified the bodies. The urban legend is that it wasn’t Butch and Sundance, but she said it was, allowing the actual guys to escape. With all Western outlaws, it’s all myths, and every account is different, and who knows? There’s no way to know. Read more from Ask the Professor: What is the significance of the "Raindrops Keep Falling on My Head" sequence in "Butch Cassidy and the Sundance Kid"? 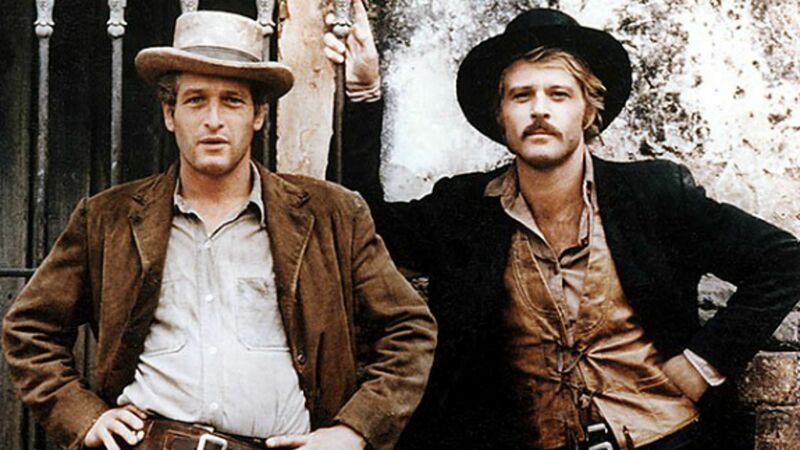 Ask the Professor: How does “Butch Cassidy and the Sundance Kid” comment on the Western genre? Ask the Professor: How is “Butch Cassidy” different from a classic Western? Ask the Professor: What is the significance of the “Raindrops” sequence in “Butch Cassidy”?